When you’re dashing from one job to the next, as in my world, or from one child pick up or appointment as in others, meals you can stick in the oven and leave for a few hours can be a life saver. I’m not talking meals which will ‘do’ either, but delicious, soul nourishing food much needed after a long and stress filled day. 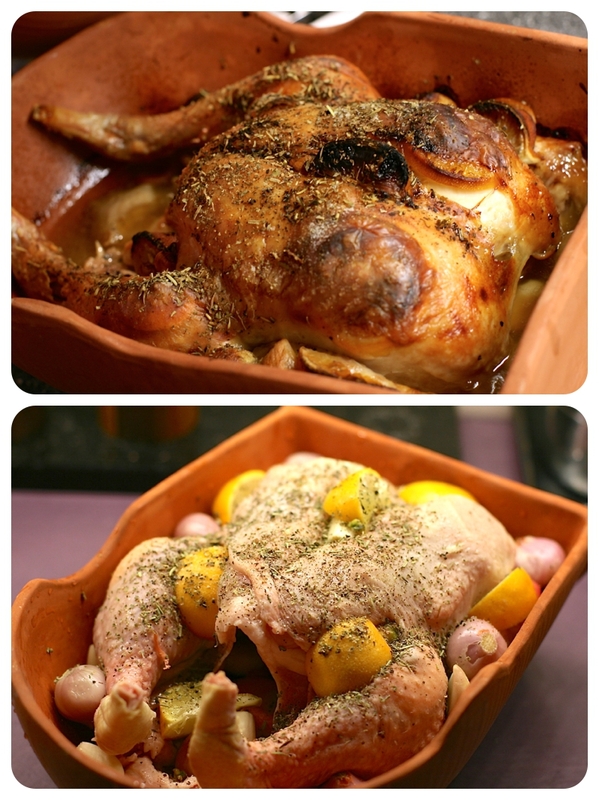 It all looks a bit Terence Conran 1970’s but terracotta bricks are fabulous for slow roasting chicken until it’s succulent, juicy and falling off the bone. I get my chicken from either a local butcher/supplier or the supermarket free range shelves as there’s such a huge difference in taste & texture and I hate the notion and ethics of cheap chicken. 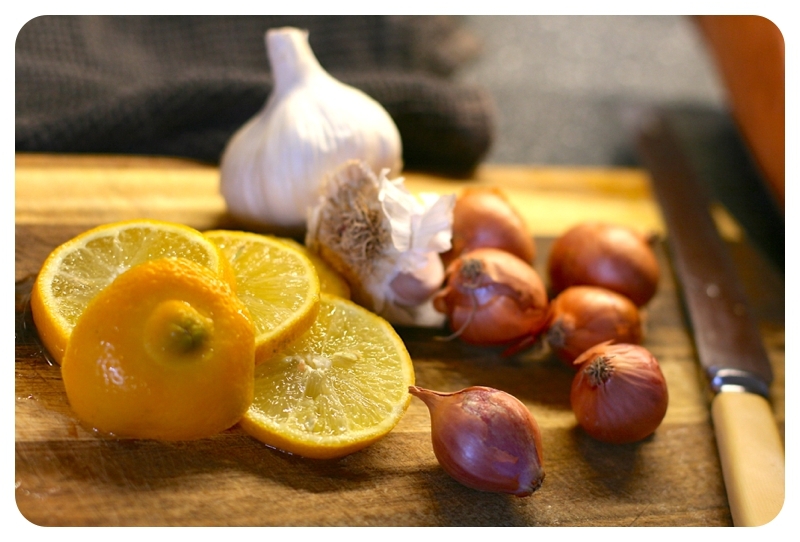 The flavouring is entirely up to you, but as a started for ten, the one we had this week was filled with butter under the skin, lemon, chopped sage & thyme, shallots and about ten garlic cloves. Very smelly so it’s a good job me & Mr M only kiss each other. Tip: Always pop the chicken in the brick cold, put it in the oven then turn the oven on to warm up both the chicken and the terracotta at the same time as the oven. I set the heat at 165* in a fan oven and leave it for about 3hrs. It does slightly depend on your oven, you’ll know after cooking the first one the best temperature and length of cooking time. Passing on the Property Portfolio? Not on your Nellie!